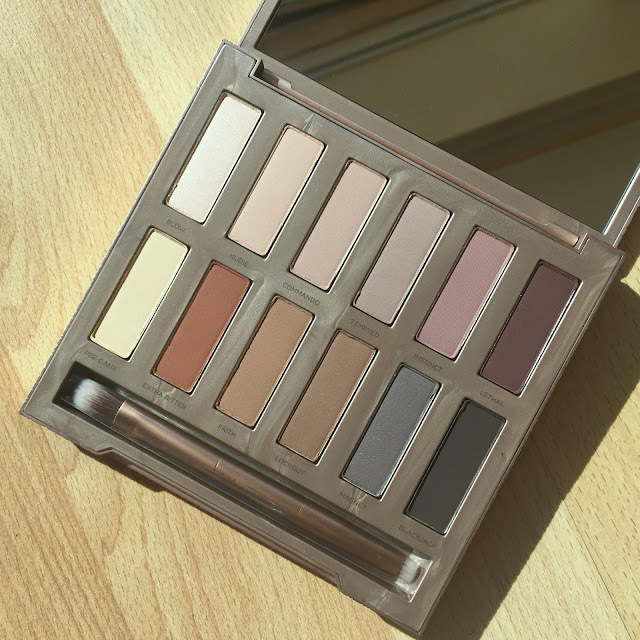 The packaging of this palette is absolutely off the grid in my opinion - it looks and feels so luxurious that it makes the €47 price tag look bargainous. Not only is the packaging a joy to look it, it's sturdy and robust, not too clunky or weighty, has a magnetised closure and a huge mirror which - brace yourselves - stands upright all by itself without needing to be propped against anything (it's the little things!). There is no wasted space inside the palette and I must admit I really enjoy the 2 x 6 configuration as opposed to a long line of shadows like the other Naked palettes. There is a little brush included with a fluffy end on one side and a smudgy end on the other - I very rarely use these brushes tbh but if I was caught in a pinch, this one doesn't feel bad at all. As for the line up of shadows themselves - again this is such a rarity to be able to say this - but on first glance I would gladly use every single one of these colours and I cannot remember the last time I have been able to say that. I love the mixture of light and dark, of cool and warm. I was overjoyed to see that Urban Decay filled all of the 12 pan spots with sensible, useable colours. I'm honestly so basic when it comes to eyeshadows and I rarely step outside my neutrals comfort zone so I am relieved there is no acid green or psychedelic pink in this line up. To some, I'm sure this palette will be too boring but honestly it's right up my conservative street. Blow is the only non-matte shade in this line up. Slightly peachier then one of my favourite UD shadows of all time (Virgin), this is a lovely light wash over the lid. It has a slight shimmer which translates to a sheen on the eye and it looks good paired with any of the other shades in the palette. If I hit pan on any shade in this palette, I predict I will hit pan on this first. Nudie is a matte light peach shade and my least favourite shade in the entire palette - for whatever reason, this barely shows up on my skin tone but as I'm not a peach skinned person I think this shadow just applies really sheerly - very unusual for a matte. Even when you build up the colour, it's barely visible. Commando is a warm dark beige shade and applies beautifully in the crease and is completely matte. I found, like many of the other shades in this palette that they apply to my eyelids darker than they appear in the pan. Tempted is another light brown shade with a pink undertone that can pull either warm or cool depending on whatever other eyeshadows you choose to pair this with. It reminds me of MAC Haux. 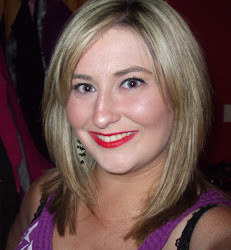 Instinct is a dusty mauve pink shade - my favourite kind of lip colour - and it applies beautifully in the crease. This is probably my favourite shade of the whole palette. Like Nudie, I feel like the formula of this is a little sheerer than some of the other shades but it's easy enough to build up the intensity. The colour of this (not the formula) is a dead ringer for one of my favourite MakeupGeek eyeshadows in Petal Pusher. Lethal is a dark plummy shade that loses a little bit of its plumminess from the pan when put on the eyelids. Again, it applies quite sheerly but is easily buildable. PreGame is actually my least favourite colour in the line up but only because I find it pulls very yellow on my skin tone and I don't really like that. It is well pigmented and has a matte finish. Extra Bitter was the other standout colour that caught my eye when I first caught a glimpse of this palette. It's a gorgeous warm coppery earthy reddish brown shade that applies beautifully. This is without a doubt the best performing eyeshadow in the palette. Faith is a warm medium brown that again performs well relatively easily compared to some of the other shadows in the palette. 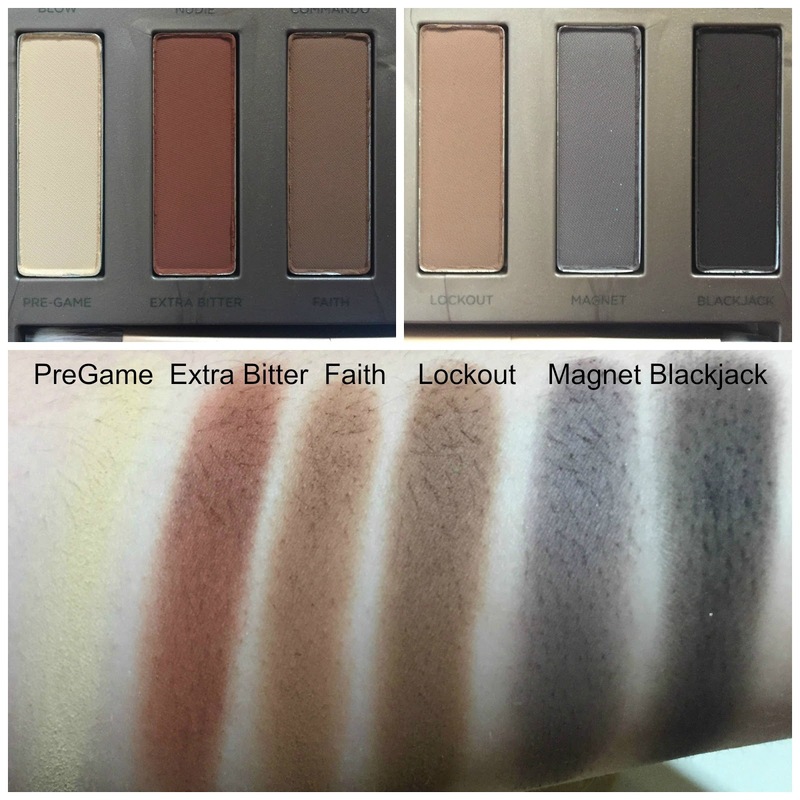 Lockout is a darker warm brown shade than Faith and is also easier to apply than other shadows in the palette. Magnet is a dark grey with a slightly smoky purple undertone. Again, the formula of this was quite thin but is easily blendable. Blackjack is the token black shade that one would expect in a neutral matte palette - however, it is quite poorly pigmented in comparison to some other black shadows I have. It's good for adding a smoky touch but the formula is poor enough. This is one of the poorest black eyeshadows that I have come across. My comments for the palette overall - the shadows are soft but for the most part I would not say that they are particularly buttery - there is a little bit of fallout when you put your brush in but they do apply easily for the most part, are blendable and buildable. I mentioned that the shadows look lighter in the pan than they do when they are applied to the lid and that took a little bit of getting used to. The eyeshadows last well on primed eyelids - I've applied at 7am for work and arrived home at 7pm and they still look decent (granted not perfect but reasonably fine). 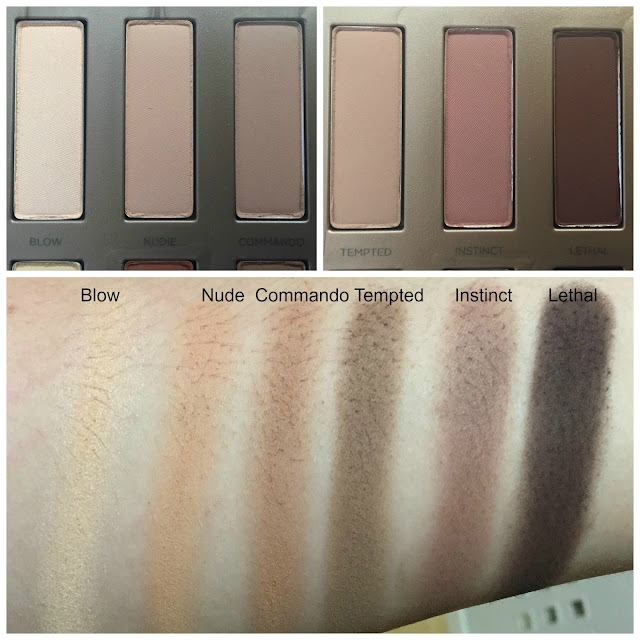 These shadows are not the most pigmented, not the softest and the colour on the lids is different to the pan - so overall I am disappointed with the Naked Ultimate Basics. I think you have to work harder with this palette than you do with other palettes but somehow I always find that the end result is worth it, it's just the effort it takes to get there is something I could do without. This palette is not the perfection that I hoped it would be. I know Urban Decay can do better neutral matte shades - Urban Decay Riff being the prime example - so it's a pity that this not translate. Even the swatches above took far too many attempts to try to convey the colour. I know I am probably one of the minority who was not impressed with this palette, and I can never discount the possibility that maybe I got a dud one, but I think this palette, like the Naked Smoky, has been massively overhyped and has not lived up to the promise. Have you tried the Naked Ultimate Basics palette yet? Do you think I'm being overly critical? Thank you - it might not always be popular but i will always be honest. I mean who has €47 to throw away on a palette that takes so much work. I'm a big fan of the Kat von D Shade & Light eye palette, much prefer it to this Urban Decay one. I've not tried any Viseart shadows yet but they are on my wishlist!